Thanks to the hard work of Eagle Scout Nathan Wagner and his troop, the generosity of Frontier Building Supply, and support from the Deception Pass Park Foundation, the 1st half of our amphitheater renovations have been completed! Nathan recently finished construction of 34 brand new benches–enough to fit over 250 people. 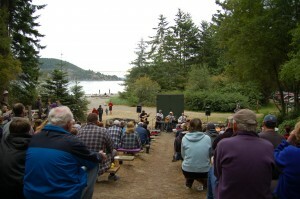 In 2012, on Memorial Day Weekend, nearly 230 people showed up for the first show of the summer season. The next step will be constructing a stage to match the beautiful new seats, hopefully one with an overhang so that we can have programs in any weather. Contact the Foundation if you’d like to help out! 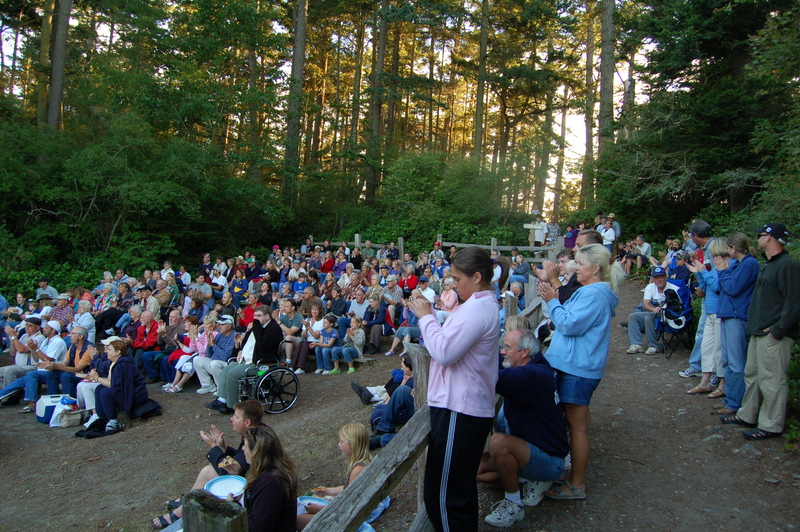 Thousands of people attend programs at the Deception Pass State Park Amphitheater every year. The venue is host to park programs like Arts in the Park, interpretive talks, and events for community groups from Oak Harbor, Anacortes and beyond. The current amphitheater is aging quickly and often fills far past capacity. 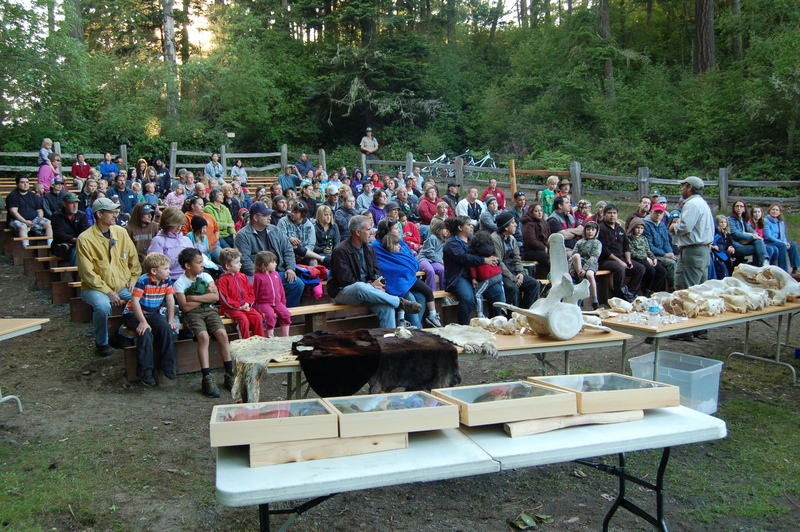 We hope to construct a new facility that will meet the needs of an increasing number of park visitors and the Whidbey and Fidalgo Island communities, and be yet another lasting icon in a park filled with them.